Simulates analog tape saturation. Ranges from ‘0’ (none) to ‘10’ (max) for the warm compression and distortion associated with overdriven tape. Simulates analog tape Wow. Wow is a term used to describe relatively slowly changing pitch and amplitude modulations caused by problems with the motor or tape transport that causes the tape’s motion across the head to vary. A well maintained tape recorder should have no audible Wow. Ranges from ‘0’ (none) to ‘10’ (max). 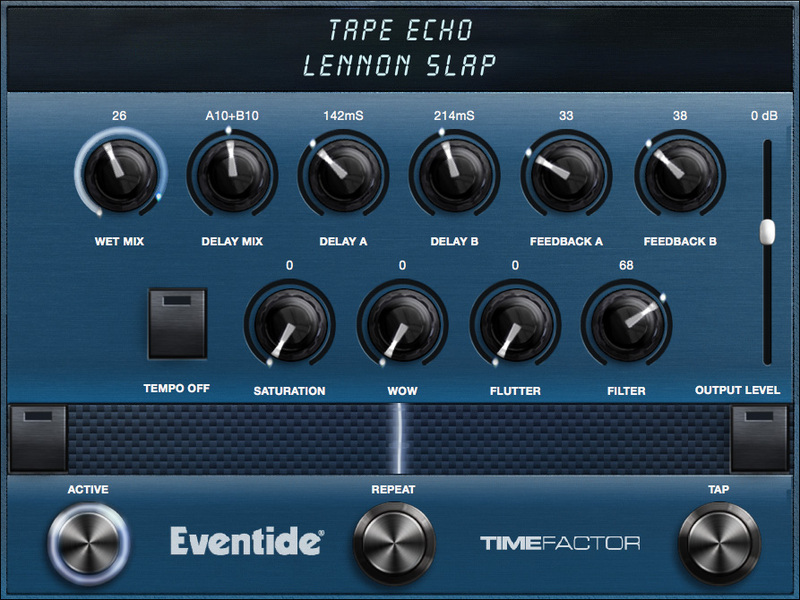 Simulates tape machine Flutter. Like Wow, Flutter is caused when the tape motion across the magnetic heads isn’t constant. Flutter is a more rapidly changing variation than Wow. Ranges from 0 (no flutter) to 10 (max flutter). Controls the filter characteristics to simulate tape recorder frequency response. As you increase the filter value, you’ll hear a more pronounced tape tone.